This is a small selection of some of the Kiva borrowers I’ve been meeting here in Zimbabwe over the past few weeks. All have borrowed through the Kiva partner here, Camfed (The Campaign for Female Education). I hope it gives a flavour of the immense impact these small loans can have. Most importantly, the opportunities they are given help empower these young women, giving them a role in their families and communities and thereby building their confidence and self-esteem. As a double orphan, and the sole breadwinner for her sisters, Moddie used her $500 loan to establish a popular takeaway stall in the village. Pooling together her resources with those of another borrower (her neighbour Tsvakai), she offers piping hot plates of the ever-popular Zimbabwean staple, sadza, together with delicious chicken or beef stews and rice. Queues form daily, as people flock in from the local businesses, and the nearby hospital and police station. Moddie now employs four others on the stall, including her sister and her aunt. Having already paid back her original loan, she is now making a handsome profit each month which is helping support her family. She proudly displays her pride and joy: a smart new car which, with a great cackle of laughter, she describes as her first ‘bit of bling’! Irine lives in Chikomba district and is married with three children. She originally started her stall selling clothes and bags in 2012, when her husband lost his job. 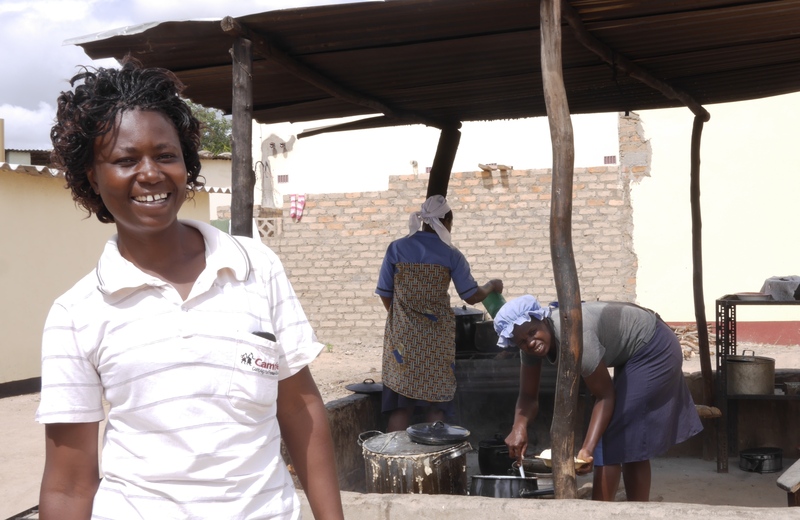 With a $500 Kiva loan in 2014, she has since been able to expand the business. The profits have had a significant impact. She has been able to pay the school fees for her children, and has purchased a goat. She’s also been able to meet some unanticipated costs: sadly, her brother passed away but, thanks to the money from the business, she could arrange a proper funeral. Irine is particularly proud of the new house she is in the process of completing. Her business profits have enabled her to buy bricks, cement, doors and window frames and, bit by bit, she is creating a new home. The pride was also evident on the face of her son, who helped show us round. 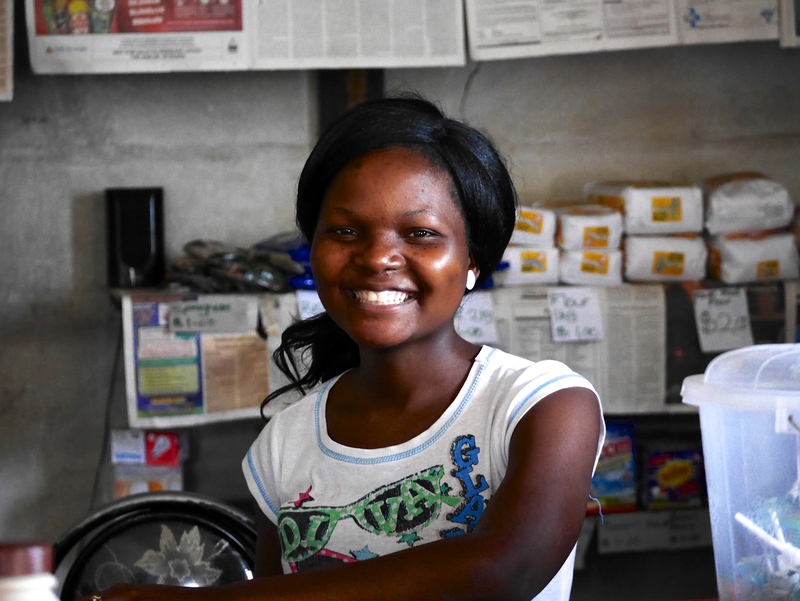 Priscilla used her $500 Kiva loan to set up a small shop, selling clothing and blankets. Divorced, she had found herself the only breadwinner for her five year old son, her parents and her four younger siblings. Now, as well as supporting her family and paying her son’s crèche fees, she has been able to finance her own continued studies (she would ultimately one day like to become a teacher). She has used some of the profits to provide prizes for the school prize day, and has bought shoes for four of the local children. As with all Cama / Kiva borrowers, Priscilla is paying ‘social interest’ on her loan by volunteering in the local secondary school. On a weekly basis, she teaches younger children a range of core life skills, in preparation for adult life. She is highly respected by her pupils, who were gushing with praise. 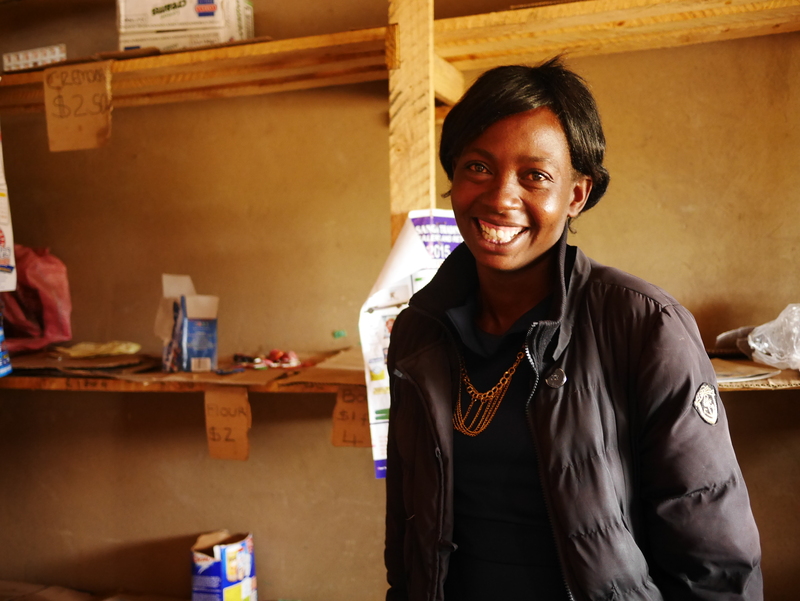 Mildred is now on her second Kiva loan and, at only 22, is running a thriving business for local farmers and neighbours. She focuses on groceries (as well as beer, which she says is pretty popular with the farmers, finishing their day’s work). ‘With my profits from the shop, I’m paying school fees for my young brother. He wouldn’t have been able to continue at school without my help. I am also able to support my mother and father, and my two brothers at home, bringing in food and clothes.’ But it’s not just Mildred and her family who are benefiting. Mildred was just as excited to describe how she is now able to help others in her local community. As well as her learner guide role at school, ‘I try to help vulnerable children, who have difficulties in staying in school. I buy them pens and books.’ And longer term? 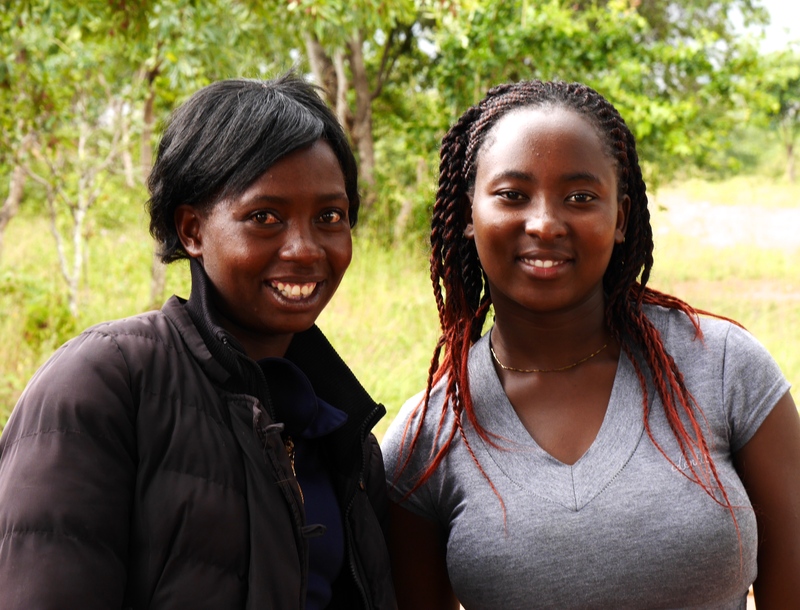 ‘I want to go back to study, and eventually I would like to become a nurse, within my community’. From what I saw of her drive and determination, I reckon she’ll make it. These stories are, for me, evidence of lives being truly transformed: the lives not only of the borrowers themselves, but also of their family and local community. Through the Kiva / Camfed partnership, the stories are being replicated across thousands of young women in Africa.